I am trying to plot this raster on R. The object is quite big, but when plotting it using the raster::plot() function, I obtain a very tiny image, as attached. I found around that, to plot raster objects with ggplot(), I should first convert it into a data.frame. However, as my object is quite big (about 55million obs. ), that would be very inefficient. I am then stuck on what to do. Any thoughts? so I suspect something has gone amiss with your graphics device. If using rstudio, I think there's a little button to reset the graphics window, otherwise try dev.off() to switch the graphics window off, and the next plot will create a new one. This behaviour generally happens when a previous graphics operation has left the graphics device in a non-default state, such as having divided it up to put a legend in a section of window. A reset as described above usually helps. 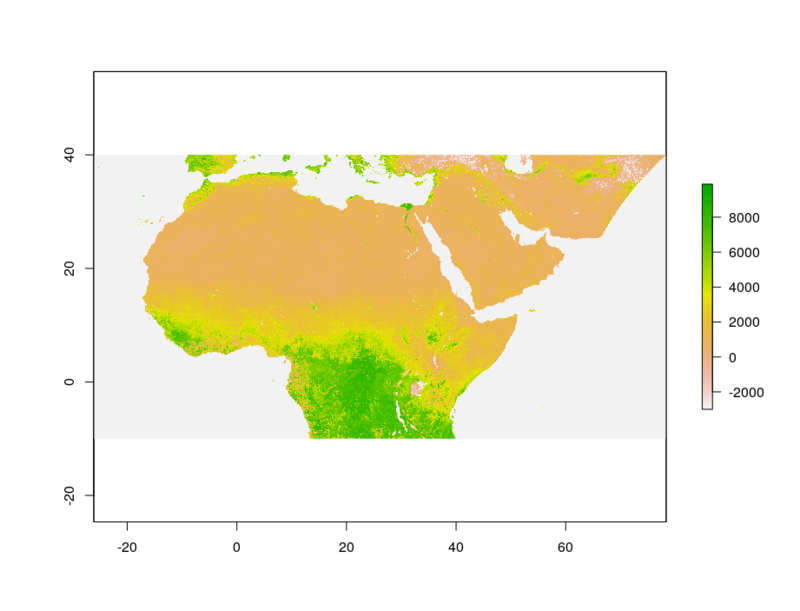 There's no need to look to ggplot - the raster package plot methods are very well optimised for big rasters and will sample down large rasters for speed. In addition to @Spacedman answer... Sometimes, some packages change plot parameters. 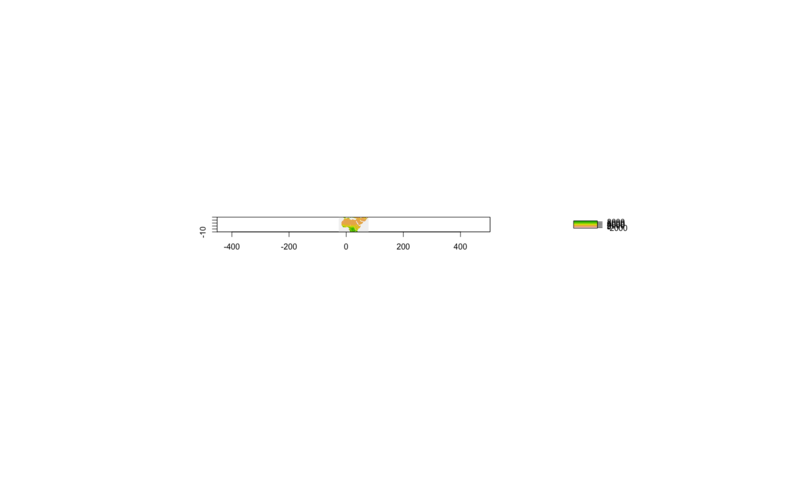 RStudio's Graphic Device plotting rasters too tiny?